A new Alice McDermott is always a treat to be relished. She’s one of those quietly brilliant authors whose work has often seemed underrated to me, rather like Elizabeth Strout before Penguin got their hands on My Name is Lucy Barton and placed her firmly on the literary map. I did spot McDermott’s last novel, Someone, in pleasingly large paperback piles on tables close to the front of several Waterstones so perhaps she’s more appreciated than I thought. If that’s the case, The Ninth Hour should help cement that success. Set in early twentieth-century Brooklyn, it’s the story of Annie, rescued from poverty by the Little Nursing Sisters of the Sick Poor when her husband commits suicide, leaving her pregnant and bereft. Sacked from his job, Jim seals the couple’s small apartment and douses the pilot light on their cooker. Passing by after a day collecting alms, Sister St Saviour catches sight of the devastation after a neighbour lit a match opening up the apartment. Shrugging off her tiredness, Sister St Saviour slips into gear, coming to the aid of the distraught Annie who is facing a bleak future, made more so by the stigma of Jim’s suicide. By the time Sally is born, Sister St Saviour has died but not before securing Annie a place in the convent’s laundry working alongside Sister Illuminata, the fount of all laundering knowledge. Over the years, Annie becomes accustomed to the nuns’ ways: Sister Lucy’s exacting standards; Sister Illuminata’s ceaseless childhood tales and Sister Jeanne’s playfulness. As Sally grows up she falls in love with the idea of becoming a nun, manufacturing the flimsiest of vocations which a railway trip to a Chicago convent sees off. She returns to find the convent’s milkman sitting at her mother’s kitchen table in an intimacy she suddenly understands. Horrified at the prospect of her mother living in mortal sin, Sally begins a negotiation with God that will lead her into a deep melancholy later in life. The Ninth Hour bears all the hallmarks I’ve come to expect from a McDermott novel: understated yet lyrical writing; empathy in spades; astutely drawn characters, all gathered together to form a quietly glorious whole infused with gentle humour. 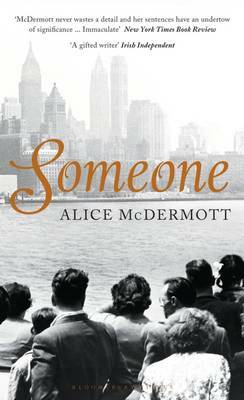 McDermott frames her novel as a family history, children looking back over the stories their ageing father has told them over the years – from the moment he saw Sally and thought ‘there’s the girl I’ll marry’ to the man his wealthy grandfather paid as a substitute to fight in the Civil War without whom he wouldn’t exist. With its dedication to Sister Mary Rose and thoughtful exploration of faith it reads like a something of a tribute to convent work, although not without criticism. The Sisters provide a safety net for Brooklyn’s Catholic poor and infirm, smoothly stepping in when sickness strikes and staying the course, some with empathetic pragmatism, others with steely organisational skills and a hefty dose of judgement. The priests, however, are a useless bunch, not prepared to get their hands dirty. Another successful McDermott novel for me, then, throwing a characteristically bright light on what it means to be human. This entry was posted in Reviews and tagged Alice McDermott, American historical fiction, Irish-American fiction, Someone, The Ninth Hour on 25 October 2017 by Susan Osborne. I was delighted to see piles of Alice McDermott’s Someone stacked up on tables at the front of Waterstones’ shops a couple of years ago. I’ve long been a fan of her elegantly poetic writing but she seemed to be overlooked here in the UK. 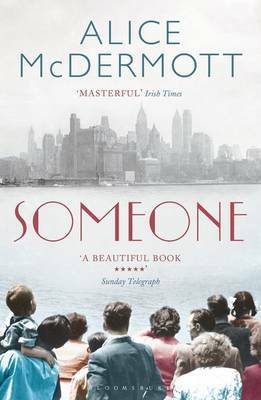 Someone is the story of an unremarkable life deftly unfolded in McDermott’s characteristic empathetic understated style. I loved it but Charming Billy remains my favourite. It’s the sad story of Billy Lynch who lost the great love of his life and never recovered. When Billy’s family and friends adjourn to a bar in the Bronx after his funeral it’s a time for affectionate reminiscing. Billy was someone who everyone loved – a romantic and poetic figure who left an impression on all who met him. But Billy’s death was far from romantic. He died an alcoholic, passed out on the street like a tramp. His life had been marked by heartbreak and many who knew him were convinced that he drank to ease the pain of the loss of his sweetheart many years ago. His devoted cousin, Dennis, came to his aid at any time of the day or night. But it is only after Billy’s funeral that Dennis tells his daughter the truth behind the legend of Billy’s sweetheart and the lie that was at the heart of his friendship with Billy. For me, McDermott belongs to a small, select band of authors who write slim, elegant novels, each word carefully chosen and none wasted. Much is left unsaid, much for readers to infer, but that’s part of their joy. Her descriptions are wonderfully evocative. Who could fail to identify with Aunt Peg from McDermott’s fifth novel, Child of My Heart, who was ‘only, it seemed, a good night’s sleep away from being pretty.’ McDermott has said ‘I wouldn’t want to spend the energy just telling a story. I’ve got to hear the rhythm of the sentences; I want the music of the prose’, a music which sings out loud and clear in the wonderfully wistful elegiac tone of Charming Billy. And what about you, any blasts from the past you’d like to share? 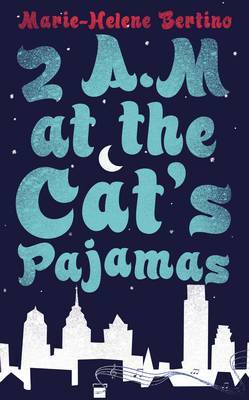 This entry was posted in Blasts From the Past, Reviews and tagged Alice McDermott, Bloomsbury Books, Charming Billy, Contemporary American fiction, Irish-American fiction, Someone on 5 July 2016 by Susan Osborne. For me, Alice McDermott belongs to a small, select band of authors who write slim, elegant novels, each word carefully chosen and none wasted. It includes Colm Tóibín, John McGahern and Anne Enright. Perhaps it’s no coincidence that they’re all Irish or of Irish extraction although Helen Dunmore is no slouch at this kind of writing. McDermott is well-known in the States but not so much here. Each time I read a new novel by her I think this might be the one which makes UK readers sit up and pay attention: Someone is no exception. Marie unfolds the story of her life beginning in 1920s Brooklyn as she sits on her family’s apartment steps waiting for her father to come home from work. She’s a daddy’s girl, looking forward to the extra sugar cubes slipped into her tea which mark her out as his favourite over Gabe, the brother picked out for the seminary. The neighbourhood has its characters as all neighbourhoods do: Billy Corrigan, blinded in the First World War, plays umpire to the boys’ ball games; accident-prone Pegeen believes there will always be someone kind to help her; Big Lucy whose uncontrollable foul mouth shames her mother. Tightly knit, nothing passes unnoticed in this Irish-American community not least by the gossiping nuns at Fagin’s undertakers whose compassion often falls short of their judgement. Marie finishes school, takes up a job at Fagin’s after much cajoling from her mother, has her share of boyfriends, marries, becomes a mother and moves out to suburbia. An unremarkable life then, but told in such light brushstrokes and with such empathy that the moments of drama stand out vividly – the unexpected death of a friend’s mother, the sudden and insensitive ending of an unhappy love affair, a difficult birth. There are foreshadowings, past events seen with hindsight slip into place, all handled so deftly and with such grace that the whole coalesces into a small masterpiece. Much is left unsaid, much for readers to infer, but that’s part of its joy. Fingers crossed, then, that Someone reaches the audience it deserves. Anyone have any favourite authors they feel are underrated? Let me know so that I can add them to my TBR list. 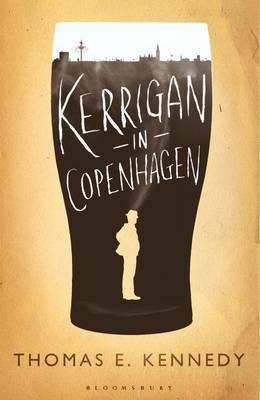 This entry was posted in Reviews and tagged Alice McDermott, Bloomsbury Books, Irish-American fiction, Someone on 20 November 2013 by Susan Osborne.